Daily morning and/or evening on well cleansed skin, apply 3 to 4 pumps on face and neck. How can you soothe, replenish and protect your fragile skin? Dehydration can affect any skin type at any age. 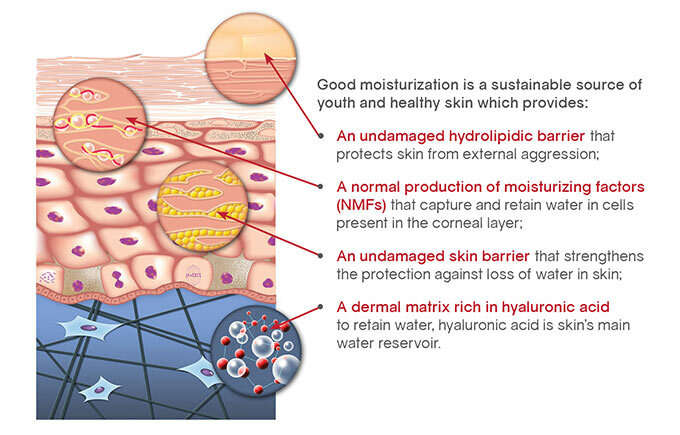 It is due to the evaporation of skin moisture and the inability of the skin to retain moisture. A number of factors such as age, wind, sun exposure, medications, and certain aesthetic procedures can all attribute to skin dehydration.